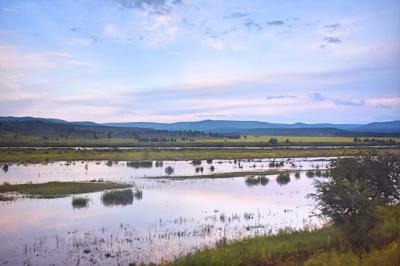 The Trans-Siberian is an epic experience. It's not a glamorous one. It's not a comfortable one. But it's one you will remember until you're on your death bed. 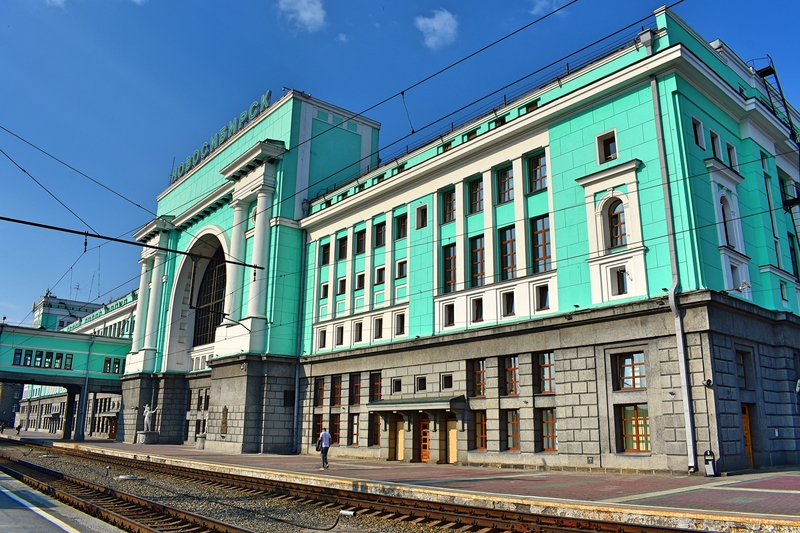 The Trans-Siberian network has a number of branches and is still being expanded. 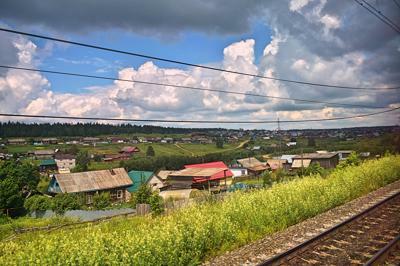 Moscow to Vladivostok is technically speaking the real Trans-Siberian route. But the route branching into Mongolia, China and even North Korea is probably as famous, although its name is really the Trans-Mongolian. If you go to Vladivostok you have the opportunity to take the ferry to either South Korea or Japan. You can ride the entire thing in the 7'ish days, but I think almost everyone will recommend to add a few stops. Primarily to get a feel of the Russia that's far from Moscow. What could be called the more authentic Russia. But with breaks you also to get a break from the train ride and recharge, and eventually correct mistakes you made on your first ride. If I only have one stop I would choose Irkutsk. First of all it's close to the world's largest fresh water lake, Baikal, where many travelers choose to camp out or go on a day trip. Additionally Irkutsk is more or less smack in the middle of the route between Moscow and Vladivostok (in terms of travel time). 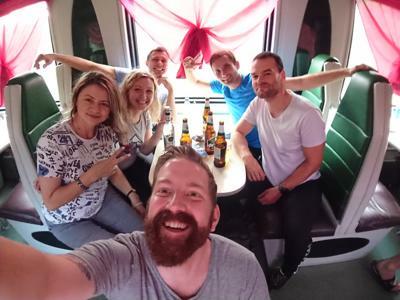 To us - the foreigners who didn't chose the easy way in the shape of a flight - the Trans-Siberian is a life-time adventure. But the Russians will probably ask you what on Earth you were thinking (in a polite way). To them the Trans-Siberian is just a commute. There are three classes in the train. The 3rd class is basically a hostel on wheels with no walls. There's upwards of 50 people sleeping together. 2nd class consists of 4-person coaches called kupés. 1st class is 2-person coaches. Trains vary; accordingly a lot. Some have comfortable beds, others not so much. Some have electricity plugs in the kupés, some don't. Some have a weird smell, some are livable. Some are old, some are quite modern. Your sleep quality comes down to whether or not you like hostels. People will be snoring, getting up in the night, turn on their smartphones. Then there's of course the train itself. You are in motion and it gets a bit noisy. But it sort of fades into the background. In some weird, weird way it actually helps to defen all those other annoyances. I got to a point where I got annoyed when the train was halted. That's when I woke up. And I didn't fall asleep before the train started rolling and once again rocked me to sleep with its rugged lullaby. It was surprisingly easy to sleep. Obviously, if you're a sensitive sleeper you will not have a good time. You must be able to cope with a regular hostel experience. And don't forget to behave yourself! 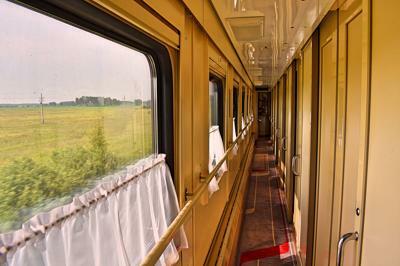 If you travel alone the Trans-Siberian can be tricky. Especially in 1st and 2nd class you will almost exclusively meet Russians. 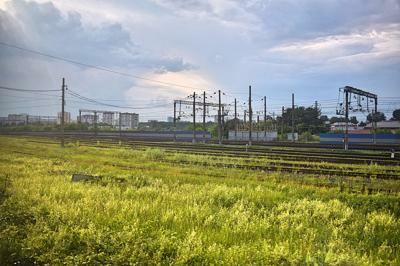 In my 159 hours on the railway many people came and went, and only one was not Russian and only Russian spoke English. The Russians are generally extremely friendly people. They will try to communicate with you despite the language barriers. They will likely offer you some of their tea or snacks, or even invite you for beer in the food carriage. I'd say just go along with it. See it as a fun challenge to try and communicate without vocabulary. You could also go for the hail mary pass and try to find other foreign travelers. It's definitely possible! You'll have to either roam the 3rd class or the hallways in the hope of bumbing into another lone wolf. But there's also the food carriage. At certain times of the day there's quite possibly a number of English-speaking travelers hiding in plain sight. I recommend learning some very basic Russian. Not only will it ease communication (thank you, Sherlock! ), but Russians are (rightfully so) very proud of their language, and you will gain their appreciation for making an effort. A food carriage staff member almost fell down her chair when I said "good morning, how are you?" in Russian. It's so simple and the connection is instant. You need visa (if required from your nationality) for all countries that you cross. So if you're going from Russia to China, you will need visa for Russia, Mongolia and China. When you arrive in Russia you are given a migration card. You must hold onto this piece of paper for your entire journey. It's almost as important as your passport. Your hotels and/or hostels should provide you with registrations - paper slips that work as a receipt and proof of where you've stayed on given dates. You are also encouraged to hold onto these for your entire stay in Russia. Never throw away any papers until you've at least left Russia and are certain you won't need them again. It's also recommended - if possible - that you pad extra days on the end of your visa. So if you plan to stay until the 20th, maybe get a visa that lasts until the 25th. This will give you some buffer in case of delayed transport out of the country. Remember that border control is a government entity and they are not responsible nor is it their problem that your airline screwed up. You will be the one to face the consequences of overstaying your visa, no matter how unfair it seems. As of 2018 there's three types of tickets and I only have hands-on experience with the electronic registration. The other is classic paper ticket and e-ticket. The electronic registration is linked to your passport number, but you should also print the voucher provided by the travel company. Please note that some travel companies deliver an overview of your journey and this is not a valid voucher! The service onboard is quite good - on top you have amazing views! Shortly after you've boarded the train you are given a small package by the staff with bed linen, a small towel, toothpaste, toothbrush and slippers. You are expected to return bed linen and towel. There's matress, duvet and pillow in the kupé. Storage optionis vary a bit. Usually it's under the bottom bunk, but there's additional space in a compartment accessible from the top bunks. I can recommended going for bottom bunk if you have the option to choose. This grants you a table for most of the day. As a top bunker you will sort of have to invited to use the table and bottom bunks, or ask politely. There's hot water for tea, coffee or noodles available in every carriage. Some tickets include a single meal which is served in the kupé, but you can buy more food, snacks, beer and water in the food carriage. It's a bit pricy though. The food carriage has fixed opening hours. When I traveled they were open from 09:00 to midnight. It's possible to pay with credit card, but only when the train is on a station as the terminal will require connectivity. The train halts up to an hour at some stations, which provides time to find a kiosk or store to stack up on food and water. Ask the staff when the train departs and keep in mind they can have difficulty with the numbers, so "fifteen" can get mixed up with "fifty". And you don't want to see your luggage and ride roll off the station with you being somewhere in the city. 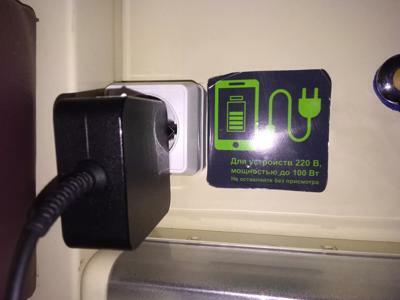 Stations have signs in Russiand and English, but expect only Russian aboard the train, from signs and staff alike. 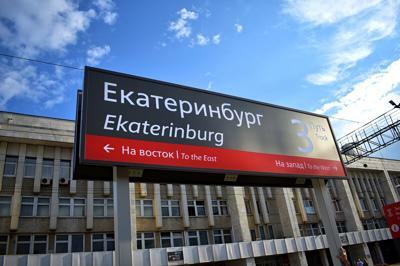 As of 2018 stations have navigational and station name signs in both Russian and English. Departure boards are not yet in English, so learning the names of your departure and arrival cities in Cyrillic will be of great help. You can find them on Google Maps or on your ticket/voucher. The staff does not speak English, hardly even a few words. So you will need to get by with hand gesturing and pointing. You will likely only communicate with them when they ask for your ticket and documents, and if you ordered a meal with your ticket. The written menu in the food carriage is in both English and Russian, but the staff only speaks Russian. All signs on the train itself are only in Russian. It's rare that you can't just sit back and enjoy the view! I don't like to say "yes, it's safe" about anything or anywhere, because if something happens people will start calling me out on a false promise. So I won't give you a guarantee that the Trans-Siberian is safe, but I will say it definitely appears to be of high safety. Almost every single person I shared kupé with was very friendly or kept to themselves. Also keep in mind that the Trans-Siberian is as common a commute to Russians as your bus/train/car back home is to you. I'm unsure if police is present on the train at all times, but I saw them walking about many times. Stations are under heavy security compared to what we're used to in Europe. There's also a cabin crew member assigned to every carriage. As for solo female travelers I don't reckon there should be problems. 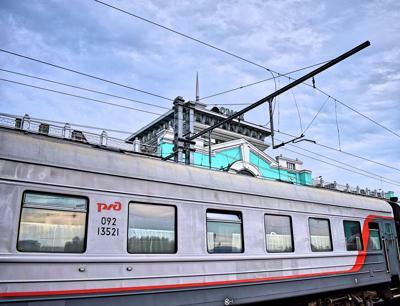 Many Russian women travel the train to get to work or to visit family. Russians can be very eager to talk to you, despite language barriers. Especially when they had a bit to drink you might feel they come on strong. In the food carriage I saw some semi-drunk Russians overstepping boundaries. Both to me and my friend and towards strangers. I believe it's largely attributed to their natural friendliness, and not because they mean any harm. But if it makes you uncomfortable you can try to indicate that you're busy with a book or a laptop, and hope they get the signal. Just point downwards on your laptop/book and say in English "I'm trying to work/read". Keep repeating it if necessary. If they don't go away the best thing is probably to just return to your kupé. There's a lot to plan, and therefore a lot to miss. Here's some good things to keep in mind. Bring a Russian dictionary. Even with just single words you can probably get your message through to staff or other travelers. When you have internet connectivity Google Translate or TripLingo can get you even further. If your phone supports multi-lingual keyboards it will almost certainly come in handy to install a Russian (Cyrillic) keyboard. There's rarely any kind of cellphone connectivity outside of stations. Smaller stations are only covered with EDGE (2G), which only allows for calls and text messages at best. Parts of the route goes very close to foreign borders and there your phone may reach their cell towers. If, for instance, you reach a Chinese cell tower and you don't have a data plan for China your bill can rocket quite fast. Use GPS and Google Maps now and then to check your distance to borders. In my experience this is only an issue in the Far East where the railway comes very close to China. You can turn your phone in airplane mode or turn off cellular data when you suspect you could be too close to a border. Some providers send a text message with prices and info, because they believe you are now traveling in that country. Power plug in the kupé = Good times! There's power plugs onboard, but only some trains have them inside the kupés. It's common to charge devices in the hallways, but make sure you can see your device at all times. The power plugs are standard European 220V. Remember a travel adapter if this is not your ordinary plug. Bring anti-bacteria hand sanitizer. The toilets are unpleasant places to go - and I say that as someone who's generally not concerned with bacteria and germs. The water in some sinks is triggered by pushing the foshet upwards. Not by turning or pressing the knobs. Do not drink the tap water onboard! It's recommended to bring water of your own. You can buy it from the food carriage if you need more or didn't brink any. There's a ladder that can be detached from the wall to get to the top bunks. Be careful when you try to get down. For reasons I do not phatom some bottom bunkers click the ladders back on the wall. There's a lot to be researched about going on this fantastic trip. But I hope this guide provided some of the more day-to-day and practical information.